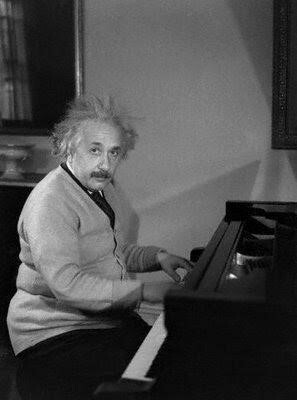 You normally see him on his violin, but did you know Albert Einstein plays the piano as well? Picture credit: Le curieux Monsieur Cocosse. Star of CBC’s ‘Will’s Jams’ Will Stroet. Picture credit: The Juno Awards & CBC Parents. By listening to music you love and expanding your musical tastes, you have the opportunity to explore your kid’s musical tastes. 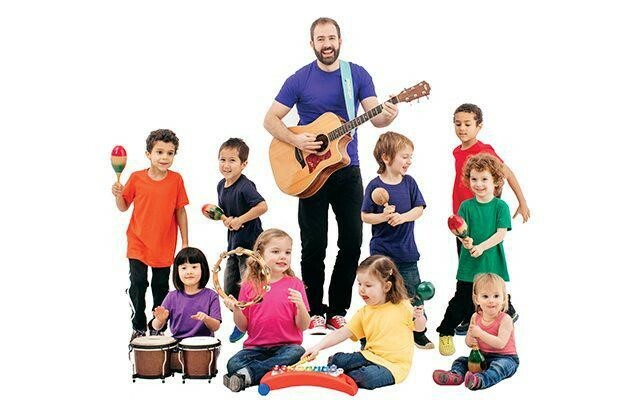 Will explains, “Children are born without a musical bias. If they love a song, it’s because they love a song. Their taste in music is pure and untainted by what other people and media tell them they should like”. Parents are encouraged to listen to all types of genres of music with their kids by either streaming music, through YouTube, or even digging out your old CD and record collections. Break out Lennon, The Beatles, ‘The Wiggles”, Mozart, The Eagles, Jeremy Monteiro, One Republic, Beyonce, Metallica, Queen, Ed Sheeren… anything and everything that tickles your fancy. Most importantly, do not discriminate. Let them listen to everything. And if your child picks up something he or she loves, you know they’re on the right track. 2. Mom, Dad, I just wanna sing with you! 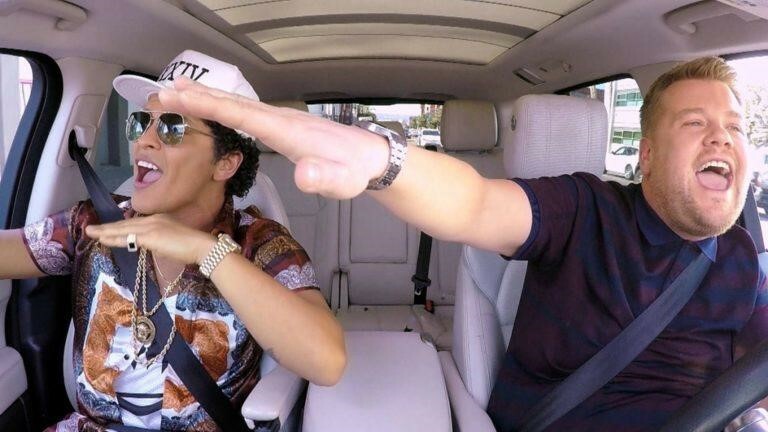 Bruno Mars appears on Carpool Karaoke with Late Late Show Host James Corden. Picture credit: CBS. Singing together is more than just about parent-child bonding and can be used to make everyday activities an enjoyable activity. Sing in the comfort of your car (carpool karaoke!) or even in the bathroom (come on, some of us parents still shower with our kids, right? Kill 2 birds…save water at the same time!). 3. Pract….err, I mean play! As a musician, Will loves making people dance. Dancing makes music a fun way for kids to burn off energy while stimulating their brains. It allows audiences to share the music and interpret their own way, while being a great way to stay physically active at any time of the year. Dancing is our bodies’ natural way to groove to music we love and it really shouldn’t be done only in a formalized setting. You should shake it out, shake it up, let loose not only by yourself but with your kids and spouse, with pet in tow. By recording music your kids make, you allow children to listen to themselves. 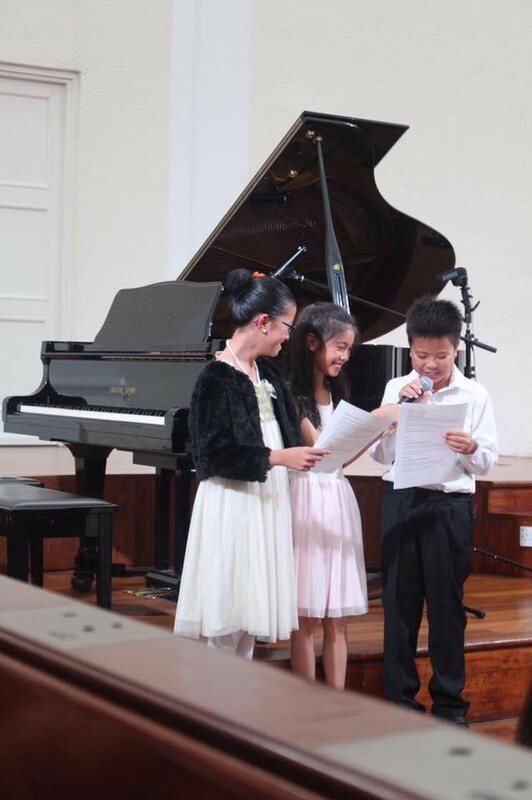 Will writes that, “It’s incredible to watch children listen to themselves singing. Like the rest of us, they’re often surprised by their own voices.” Recording at home can be as simple as using the voice memo on your phone, or you can produce it with your kids in a program like Garage Band. 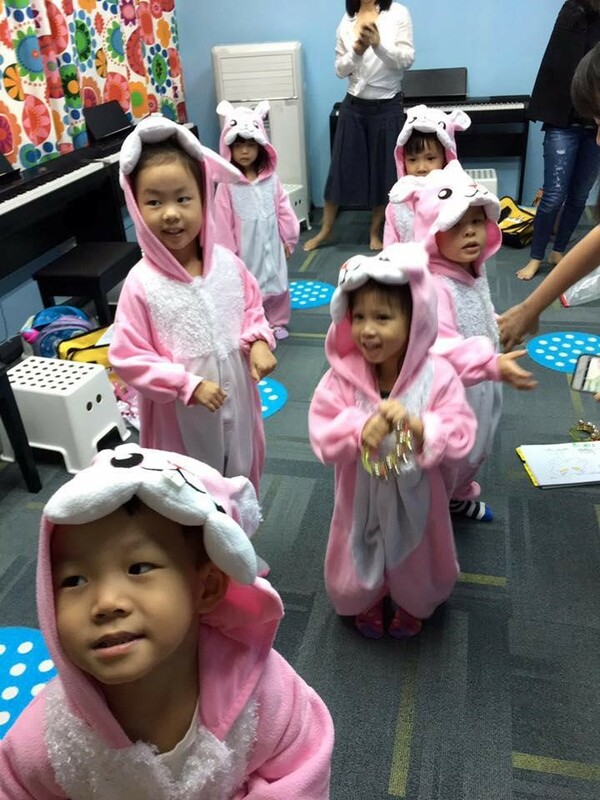 MYC’s music lessons include singing and learning about pitch, rhythm, dynamics and musical terminology, to name a few. But more importantly, when you record, listen and perhaps even upload onto your own social media platform, this helps to build up their positive self-esteem and confidence as they improve with more practice. You never know, you might just have the next Britney Spears or Justin Timberlake in the wings (after all, both of them had their start in the Mickey Mouse Clubhouse). 6. Free music event? Let’s go! 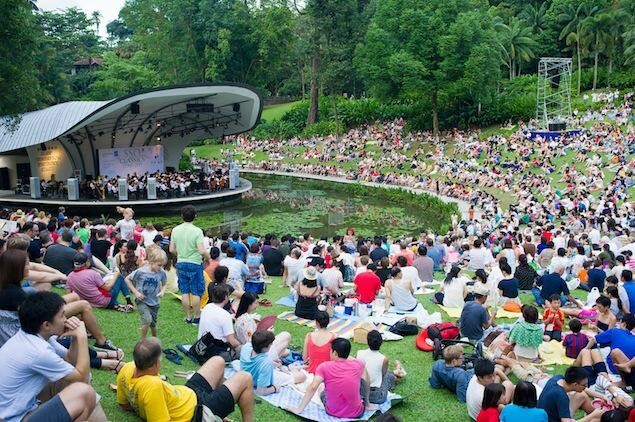 The Singapore Botanic Gardens regularly hosts free music concerts at the Shaw Foundation Symphony Stage. Picture credit: Silver Kris online magazine. “Nothing compares to the experience of live music. If you want to inspire your kids to have a lifelong love of music, take them to concerts, festivals and other live performances. Seeing people make music together is very inspiring and fun”, Will shared. Festivals allow audiences to participate and even feel the music while adding excitement from the energy of the audience. There are regularly scheduled free live performances being staged at The Esplanade and even at the Singapore Botanic Gardens. And if you have some spare cash, perhaps you can even bring them to a Disney musical. “Lion King”, anyone? GIF credit: GIPHY. Image source: Walt Disney.